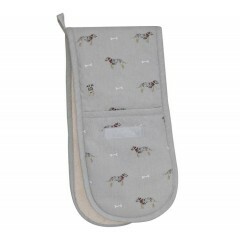 Sophie Allport oven gloves can be relied on to keep your hands safe from scalds and burns and still keep their good looks. 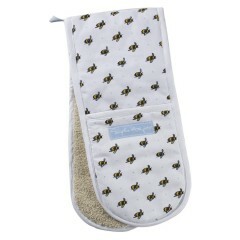 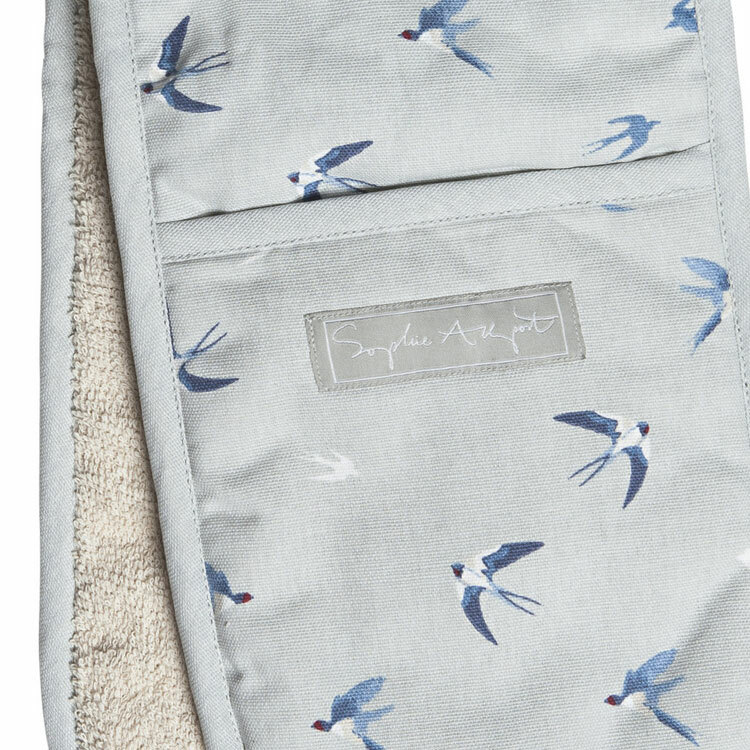 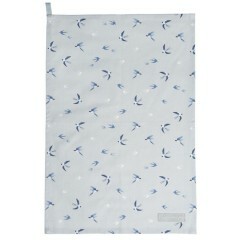 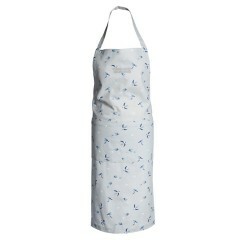 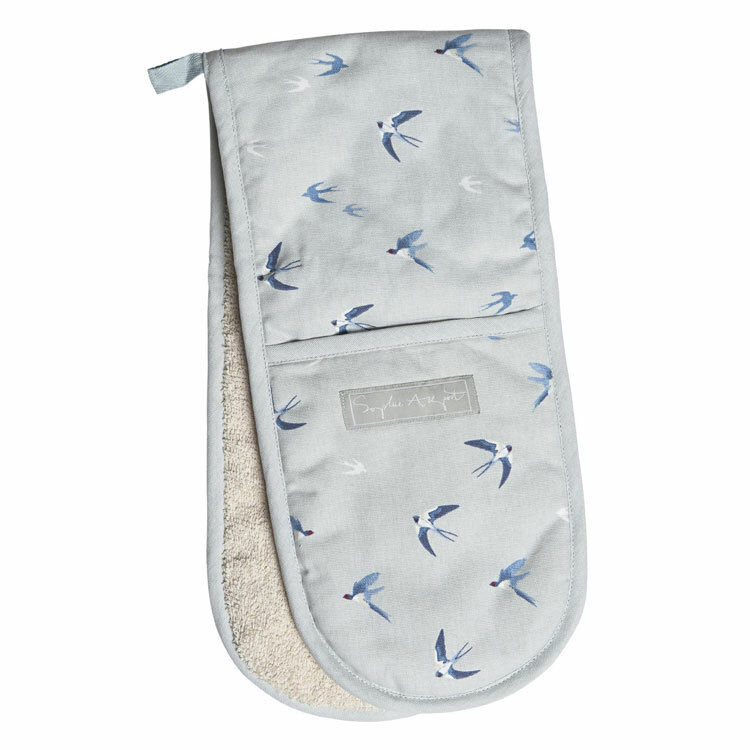 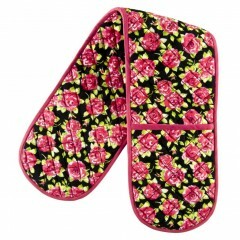 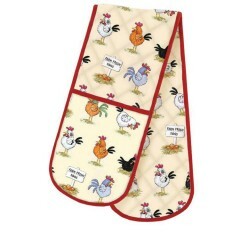 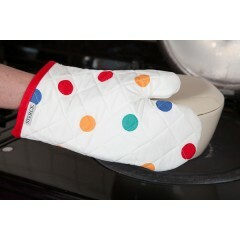 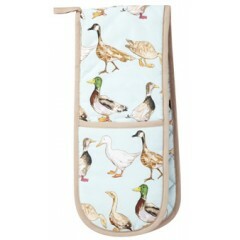 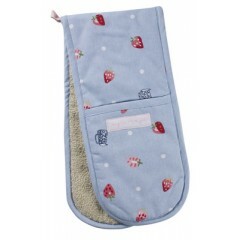 These double oven gloves are designed to match Sophie Allport's range of Swallows textiles which also include aprons, tea towels and oven gloves. 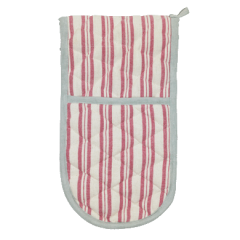 The thick, sandy-coloured terry towelling layer not only offsets the pale blue perfectly, but it protects you when you need to handle hot baking sheets and roasting tins. 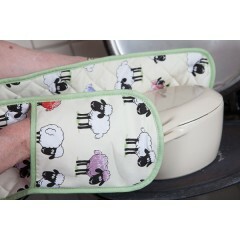 And the loop in the middle is deceptively useful if you want to be able to tidy your oven gloves away on a hook rather than leave them folded on a counter or draped over a rail. 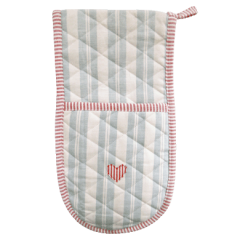 We are always on the lookout for little details like that, making Heart to Home's cotton kitchen accessories both pretty and practical and moreover never one without the other.